This is an original, laser cut kit of furniture for your Bespaq Dtuch Baby House. Ribbon, lace bunka and tiny beads are included. 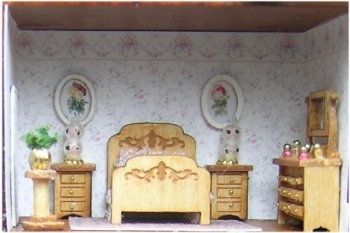 Accessories such as lamps and plant, etc are NOT included in the kit.